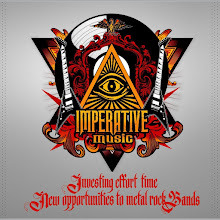 Imperative Music Agency Compilation: 10 Fundamental Things That Big Bands Do! by Gilson Rodrigues de Arruda, Imperative Music. 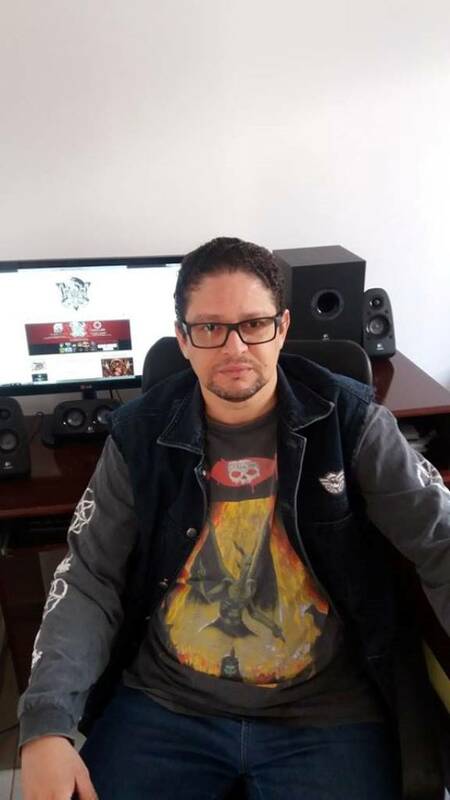 I've been working since the 90's on the Metal Scene both in Brazil and abroad, and I would like to share what generally famous bands have done in the past, maybe the newcomer bands can learn something of that and benefit in their career . Also, in addition to my experience in international relations with bands, record companies, stores, media in Europe, United States and Japan, I also graduated in Foreign Trade and I noticed several tools, data, situations and policies in business worldwide so any band can use on promotion and agreements. Working at the national level is one thing, it is still important to always be a professional, but working at a world level is a step by step, you need improvement, professionalism, dedication, devotion and a lot of patience and humility. 1 – This is a business, there will be entrepreneurs/managers wanting to make money with your band, but you can gain space and some money in the right places. If you want to do shows abroad, look for an agency, ask the bands that have worked with it, and if you want to invest in Europe, select key countries like Germany, France, England because in these countries they have a lot of public and many Record-Labels and most important Magazines to try get a record-deal, interviews, merchandise sales, etc. 2 – Do business with everyone, it's not capitalism, but what I want to say is about partnerships, for example, be sure to send your CD to be reviewed in any Fanzine from Bolivia, Lithuania because they are as important as one from Germany or United States. I know about one story that a Swedish band was signed by European Record-Label after having seen the band in an interview on small fanzine from Bolivia, incredible? I've heard and I know some bands that do not interviews with people located in distant/poor countries, or do not send promotional material to get reviews in other parts of the world, what is the advantage in this? 3 –Sent answers to Emails within 24 hours or within a maximum of one week if you are experiencing personal issues. Remember, good care is in fact to keep customers and people will see you as a responsible person for future business. On the Facebook page and other social networks, print your contact addresses (Emails, Postal Address, Website, Phone number). 4 –Learning English is expensive when we are living in poor country and our schools teach almost nothing. At least the band's vocalist/ leader need to master that language, it will be useful, it's something to think about and study. 5 –Having a band is a long-term investment, sometimes it is not with the Debut album that the band will succeed, see the bands from the past, many of them have obtained international contracts with major Record-Label when the band released the second or third album by a small record label of your country as was the case of Behemoth, in these cases, persistence is fundamental. 6 –Promotion has never been and will never be a missed investment. All the Media is a channel to get something different, some readers read only one magazine, and the country may have two magazines, so it would be good to send your promo-CD to both, do you understand? Start broadcasting locally, statewide and later nationally, and when the band is mature and have a very well recorded, mastered, produced album, invest in the international market. 7 –Connection and Cooperation with other bands of its territory and other locations is a great start. Give yourself the confidence and space to learn from everyone else, you will also need to chase after people, and not wait for the phone to ring to get things done. A lot of humility and enthusiasm will be good for building your career in the music world. 8 –If it is not possible on the debut album, make an effort and planning to produce next album in renowned studios. The cover and designer of the CD need to be well presented. The same is about Band Pictures, Video-clip, try a professional production. 9 – Share anything! A tool of our days for Social Networks, but before was photocopies of the Flyers and we sent these little bastards in mail and it worked. Today on Facebook for example, Like and Share makes people aware of the gigs/festival, reviews of their demo or album, information about the release of the CD or T-shirts. Any and all matters about your band is important thing, it's a must share to keep the band up and get new fans, because you think Metallica or Megadeth are every day "spreading the word" with their new videos, comments or something from their private lives? This is a type of "Marketing" to conquer and direct the 'looks' to them. I do not believe that the big bands play only what they want or like, 80% of the repertoire's elaboration is to please, to take advantage of the wave of the current musical scene, as we know, we already had the Hard Rock wave, Grunge wave and Today we are in the Heaviest wave or Extreme, see the great success and interest of the major Record-labels by bands like Behemoth, Amon Amarth, even in movies appeared their songs. Even Dream Theater, Metallica have their recent albums heavier, so the actual trend is extreme Metal, you need to pay attention to and mend this move if your band intends to succeed. 10 – Be yourself, copy is something I would give: It is half way to failure. I know we are all fans of many bands, but, but imitating the voice, the riffs of a big band, can limit the interest of the great majority, be better than the original, is something I have never seen, sincerely. In the Demo era it may even be fun to see a band imitating, playing like such a big band, but when the band is going to release a full length album, better try to be original as much as you can. I know that many bands have influences, but it cannot be a ‘copy’ in the face that anyone says, this is just like that band. The ideal would be someone to say, this band is as good as such and such bands. 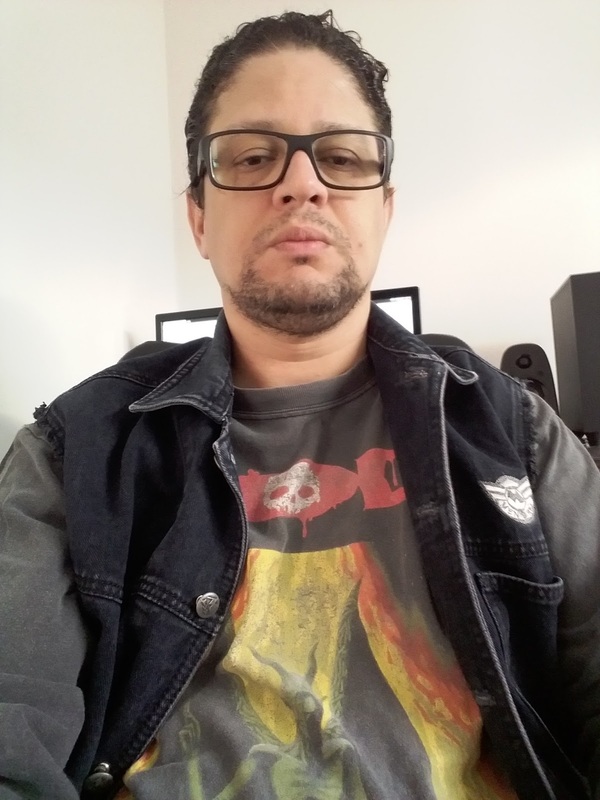 I wish all bands good luck and that this report that I described in the years that I have been working in Brazil and the rest of the world can be of some use and improvement in the career of your band!